The month of April will be of exciting feats for the Star Citizen Division! SCZ kicks of the month with a release of the highly anticipated 3.5 update that promises to change life in the universe. Currently released to the Public Test Universe (PTU) those who have been given privilege to experience this gesture has reported back COMPLETE AND TOTAL CHANGE to the system as we know it. From the newly detailed way a citizen creates his/her playable character; To the newly polished flight controls will give any die hard MMO participant goosebumps. Its safe to say that we all have our hearts set on the new 3.5 update and look forward to unlocking all treasures foretold! We Also in Star Citizen welcome the month of April by honoring our First selected Commanding Officer FIRST LIEUTENANT EDIBLECRAB and his first appointed Executive Officer SECOND LIEUTENANT EWOKLOO. Both show remarkable statue in leading and building of the Star Citizen Division. With these two at the helm you can expect great things to come out of Star Citizen Division for the month of April 2019. Here are some great things coming from Apex legends! They just started the first season of their game and Have added the new character Octane! He is a mobility based legend with the ability to drop jump pads to help him and his team traverse the map! I would also like to give a huge shout out to the EU HDI Voppa for recruiting 15+ members and doing an amazing job as an HDI. Other than these things there isn't much else going on. You of course know about all the game updates and season pass so I would also include that as well. officially launched in late December 2018, the division has 18 pilots from both the EU and NA timezones in its division. In addition, many TAW members from other divisions are helping and contributing to the corporation growth in game. We got a new recruit named Fluffyj and Destiny 2 is in its 3rd week of its new season called "The Season of The Drifter". Things that are new in the game are the addition of Gambit Prime and The Reckoning. Gambit Prime is PVE/PVP match on whom can kill their Primeval first while fighting enemies and invaders from the other side. The Reckoning is a PVE focused event in which you defeat enemies to appease The Nine, and if completed successfully, you get gear that benefits you in Gambit Prime for specific roles you can play as. Thank each and every one of you for your support to the Vanguard team! Vanguard is proud to announce that the Apex Legends [APL] team has progressed to Tier 2 status! With this, they are now open for internal transfers. If you would like to transfer to the Apex Legends unit or attend events with the team, feel free to join them in their channels in Vanguard or talk to the SUL, SnxHazardx for more information. Vanguard is proud to announce that the Elder Scrolls Online [ESO] team has progressed to Tier 2 status! With this, they are now open for internal transfers. If you would like to transfer to the Elder Scrolls Online unit or attend events with the team, feel free to join them in their channels in Vanguard or talk to the SUL, Airiswolf for more information. Vanguard is proud to announce that the Eve Online [EVE] team has progressed to Tier 2 status! With this, they are now open for internal transfers. If you would like to transfer to the EVE Online unit or attend events with the team, feel free to join them in their channels in Vanguard or talk to the SUL, Avguste, for more information. Patched members and ranks - Prospect, Enforcer, Road Captain, SGT. at ARMS, VP and finally President. Businesses - As I mentioned those two businesses we already got, We run errands to get more supplies - after those errands everyone gets money except the president. Those supplies help the businesses to make the products. After they are done, it goes to President's Nightclub (which we already got lol) and we take those products to buyers to gain extra money (for example, when there was 170K product in Counterfeit Cash Factory, we sold them for 277K because we chose the risky road and my VP (mourneedarko) got around 10% of that money). Outfit - we can choose our MC outfits and put TAW logo behind our cuts. Which would be awesome, IKR? And the best part rival MCs - if there are other MCs in our server they will try to steal from us which will lead to cool fight between at least two MCs. If you are interested please make sure to fill out the Vanguard Interest Form. It’s time for the March On The Horizon Post. For those of you not aware of what that is, In Vanguard every month we list several games that Vanguard feels would make a great place in TAW, and we publish them in a blog. Most titles are newer but there are some older ones as well that we feel would be good in our community. Also keep in mind that these games may be the future of TAW so if you have any interest in any of these games or any others, fill out the Vanguard Interest Form please. Developed by series creators Rockstar North, Grand Theft Auto V is available worldwide for PC, PlayStation®4, PlayStation®3, Xbox One® and Xbox 360®. Path of Exile is an online Action RPG set in the dark fantasy world of Wraeclast. It is designed around a strong online item economy, deep character customisation, competitive PvP and ladder races. The game is completely free and will never be "pay to win". Make sure to tune in on TAWTV tonight! 10pm GMT+1 - 5pm EDT - Redsword will be livestreaming on twitch.tv/tawtv Survarium as a sponsored stream! 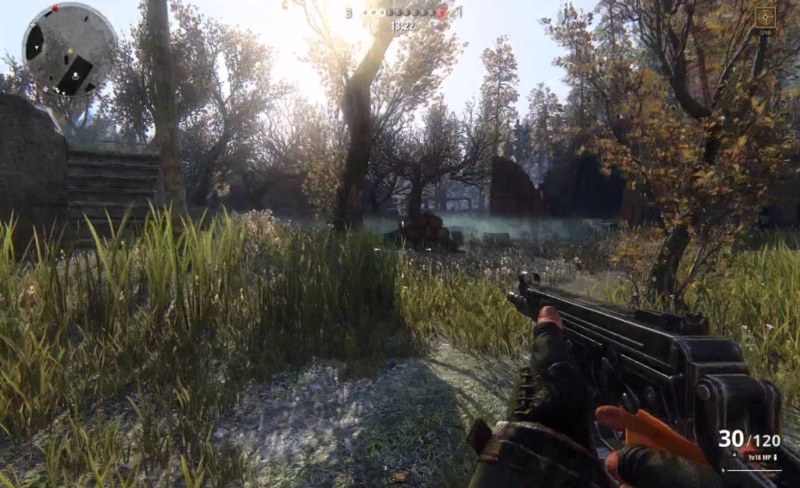 Survarium is a free online mulitplayer FPS. (MMOFPS). The events take place in the near future in the aftermath of an global environmental disaster, in a world where only one man in a hundred survived, in a world where anarchy and chaos reign, where every step can be your last, where every hour you have to prove your right to live! Survarium offers several game modes designed for both veterans of online shooters and newcomers just revealing in the atmosphere of the capitvating virtual world. Teamplay, Co-operative playthrough, freeplay with more! Fight, survive, gather artifacts and level up your character! Do you want a free week of premium all in one package? comment with your email below and we get you an invite! Survarium is sponsoring this stream tonight, so join in with other likeminded players and have an awesome evening! If interested in bringing this game to TAW please make sure to fill out the Vanguard Interest Form. Big Sales and Free Weekend! Origin's EA Publisher Sale is live, and includes discounts on most of the company's recent games. In the United States, the base version of Battlefield 5 is $29.99 (50% off), FIFA 19 is $19.79 (70% off), Star Wars Battlefront 2 is $5.99 (80% off), and Titanfall 2 is $7.49 (75% off). If you missed out on the last Sims sale, The Sims 4 Standard Edition is actually cheaper this time around, at just $4.79 (88% off). A few expansions are also discounted, including Seasons for $19.99 (50% off) and Cats & Dogs for $19.99 (50% off). Conan Exiles, the survival MMO with dong physics, pets, and other stuff that's not as cool as pets, is free to play for the weekend. The four-day freebie will give aspiring players an opportunity to see what it's all about, and those who used to play a chance to see how the game has changed since it went into full release last year. That includes a major update released last week that makes a number of quality of life changes and gameplay updates, adds new types of Purges and a new world boss in the Frozen North, rebalances multiple play areas, and adds a new VOIP system, complete with mouth movements. New content for high-level players has also been added, including more challenging enemies and bosses in the Unnamed City. The Conan Exiles free weekend is live now and runs until March 11. It's also on sale on Steam for $20/£17/€20 until March 18, and if you already own the game all the DLC is 25 percent off until then too. 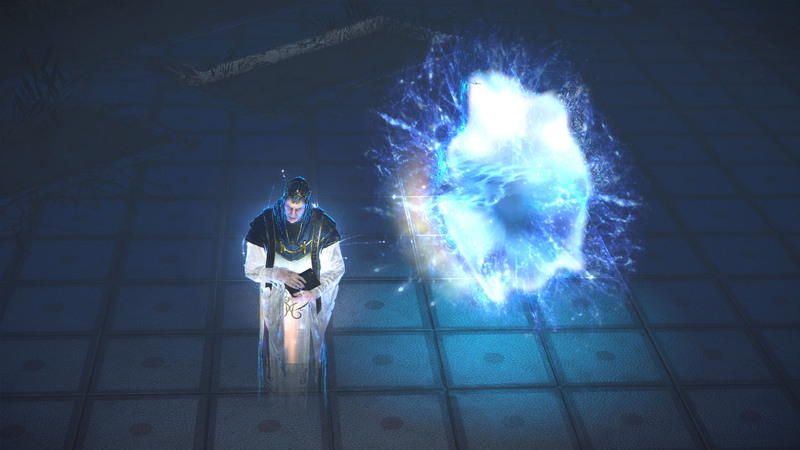 In Path of Exile: Synthesis, you will encounter Cavas, recover his lost memories and chain them together to reach valuable rewards, new boss fights and crafting opportunities. Our March expansion contains the Synthesis challenge league, new items, new gems, a complete rebalance of spells throughout Path of Exile, an integrated version of the Betrayalleague and much, much more. In this league, the players will encounter Cavas and fragments of his memories scattered across the world. Players can enter a memory that leads into a subzone, where they must move fast to stabilize and capture the crumbling memory. These memories are then used in the Memory Nexus to create paths that lead to other pieces of memory. Memories can contain fractured items that contain a permanently fixed mod. Fractured items can also be used to synthesize a new item base with a special implicit mod. Path of Exile is a free-to-play action role-playing video game developed and published by Grinding Gear Games. Following an open beta phase, the game was released in October 2013. A PoE guild is an in-game association of players. It can give a group of players much more organization and communication than the friend system, adding a private guild chat (bound to the "&" symbol). Guilds are account-wide and can't be joined only by specific characters. So group up, conquer the game and show what you are made of! On behalf of Zenmire, DrFajitas, and Hemphop, I would like to announce that we have accepted a great leader within the TAW ranks for the Vanguard Lieutenant Commander position! He is very dedicated to the community and is a great addition to the team! Without further ado we would like to announce that Dreamus has stepped up into the position of Vanguard Lieutenant Commander! We are excited that he has accepted the offer and are overjoyed to see the amazing things he will do for the Vanguard team! As always, if you have permissions of CC, when you log on please make sure to congratulate him in true TAW fashion to a good old boot! OOOOOOOORAAAAAAAH!!! Vanguard would like to see this game in TAW. If you are interested in seeing Atlas in TAW please fill out the Future Games form. If you like Ark: Survival Evolved, Blackwake, or even The Pirates Of The Caribbean movies, you’ll want to check this game out. Atlas is the ultimate survival MMO, which will host up to 40k+ simultaneous players in the same world. It’s the definition of cooperation and conflict as you stake your claim in this endless open world, conquering territory, constructing ships, searching for that buried treasure on a desolate island, assembling forts, plundering settlements, and hiring crew. Take to the seas, as you wage war against enemy fleets, commanding large ships of war using the captaining system (or divide up the responsibility amongst trusted lieutenants). Or take control of any weapon directly with your own character. You’ll start out building a drydock and begin with a dinghy rowboat, a basic raft, tiny sloop, or a nimble schooner. From there you’ve move on up to your own versatile brigantine or titanic galleon, capable of transporting your crew and cargo. Personalize your ship by naming her in big bold letters, give her a fresh paint job and copy your own pirate flag. Make your ship truly yours as you custom place each of the pieces on your ship, from sails to planks and gunports, each and every single structure has a physical weight and material, to function EXACTLY how you want it to. In addition, your personalization doesn’t just stop at your ship. There is an extensive character visual customization, which allows for an endless realistic and no so realistic characters. You can even “per pixel” design your own permanent tattoos. Now for what we do best in TAW, recruit real players and AI crew from freeports, to men distinct stations aboard your ship. Yes, you’re not just resorting using all AI crew, you can have your friends as part of your crew as you pillage and plunder your way to infamy. Whether it’s bolted down or not, everything is up for grabs when it comes to PvP. Whether it’s your opponents ships, their forts, land, or booty. If you can get your hands on it, you can take it. Each ships permanent logbook will tell the tale of their legendary travel, exploits and ownership. There is so much available for this game, that we possibly can’t list it all. You’d be here all day reading it. But what you can do, is head on over to the Steam Site and get ready to download this game, as it becomes available December 19th of 2018. So get ready to head to the nearest port matey, and plunder like you never plundered before. ANY MEMBER WISHING TO SEE THIS GAME COME TO TAW AND BE PART OF IT’S	SPIN UP TEAM, PLEASE FILL OUT THE VANGUARD INTEREST FORM. If interested in seeing this game in TAW, please fill out the Vanguard Interest Form.